For over 28 years Myrna Villegas had trouble sleeping through the night, leaving her extremely drained each morning. Whatever energy she did have quickly left her throughout her work day as she sat in court hearings and trials - not moving! Myrna knew she needed to find a way to boost her energy levels. 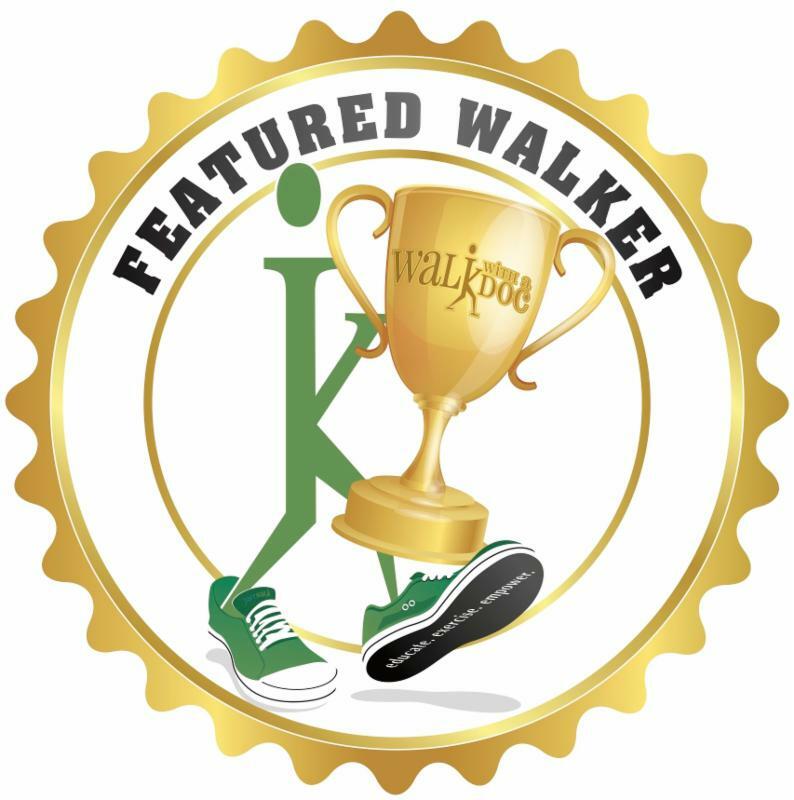 After doing some digging, Myrna found Pediatrician Dr. Theresa Wee’s Walk with a Doc program on the island of Oahu. Myrna joined the Walk and immediately loved the experience. 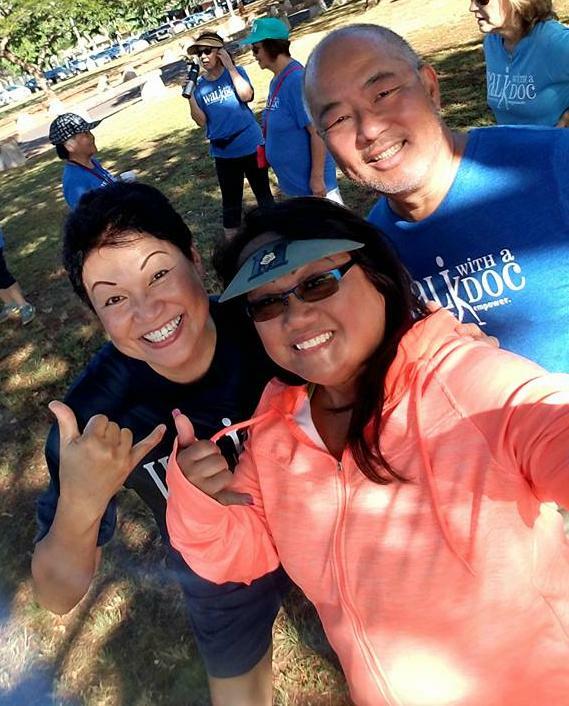 Myrna has been a regular at Walk with a Doc in Waipahu, Hawaii for almost two years now, and she and Dr. Wee are very good friends. 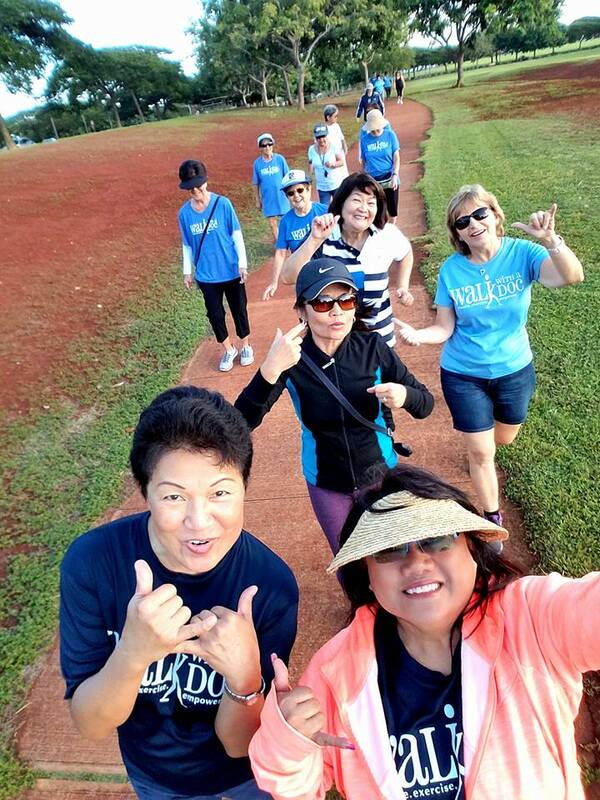 “Myrna is my official volunteer,” says Dr. Wee, “she is an avid walker and encourages many friends to come out and walk with me!” The group is very close, and they love to have fun! Myrna enjoys documenting the group by taking plenty of pictures using her glitter phone case and selfie stick. Myrna says the Walk has been amazing for both her physical and mental health. 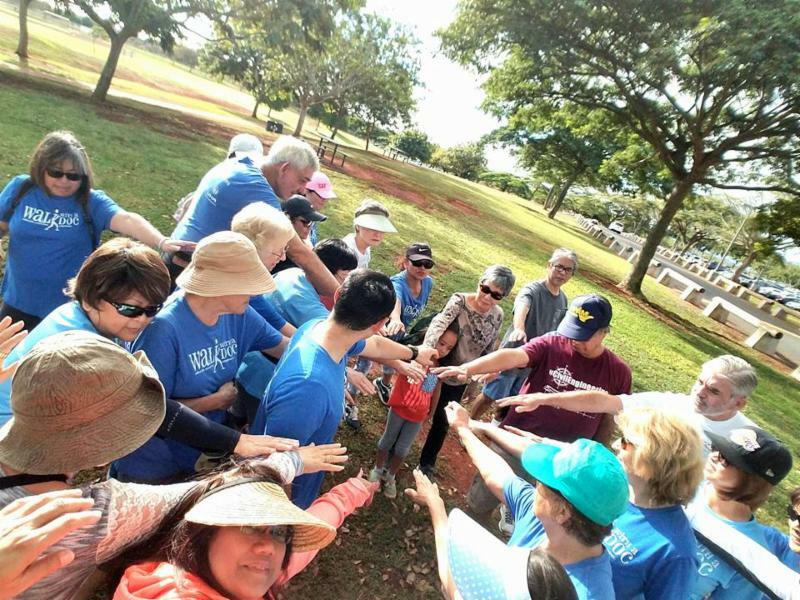 Walking with a group is an amazing stress reliever, and she loves the instant relief that she feels when breathing in the fresh Hawaiian air. “Walking is a great way to enjoy the weather and a great excuse to savor the sunshine, which you don't often get when you work indoors.” She feels much more energetic now, and uses walking as her form of meditation and daily exercise.